MD - General Medicine, M.B.B.S. 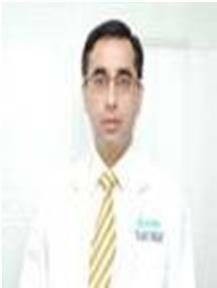 Dr. Vikas Bhutani, MBBS, MD( Medicine) is a Consultant- Internal Medicine, at Fortis Mohali. He is associated with the Fortis Hospital since its inception in 2001. He is also the Chairman of Pharmacy and Therapeutics Committee of the hospital. He is a member of the Antibiotic Task Force of the hospital. Dr. Bhutani is an alumnus of the well renowned institute, Pt. BDS Postgraduate Institute of Medical Sciences, Rohtak from where he has completed his under graduate(MBBS) and post graduate degree in medicine. Subsequently, he gained practical experience from two most prominent hospitals of the territory viz. Government Medical College & PGIMER, Chandigarh. To his credits, he has been honoured with various prizes and medals during his brilliant academic career. Being diligent in his field, he actively promotes recent advances among medical professionals and colleagues by conducting CMEs at various levels. He is an active participant in a number of national and international conferences of repute related to Medicine. Over an above, because of his superlative qualities, Dr. Bhutani has been featured in the book 'Chandigarh and its Leading Personalities, Vol I, Edn. 2011'. He is equally contributing in promoting health awareness by writing articles & public lectures. He has a number of research papers to his name in various reputed international journals and has presented his research papers at various conferences .